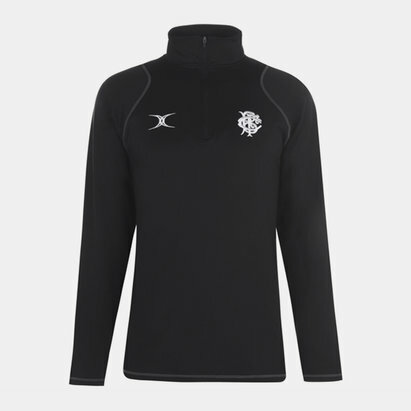 Cheer on the World’s most famous invitational rugby side when you pull on this Barbarians 2019 Pro Bodywarmer Rugby Gilet from Gilbert. 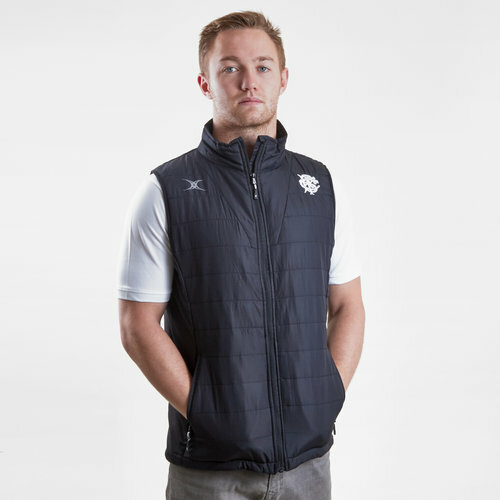 This pro gilet has been crafted in a modern fit whilst being lightweight and providing some protection from the elements with its water-repellent outer. The design of this gilet provides a perfect balance between warmth and mobility. The front and back are made from recycled polyester and recycled padding inside the quilted lining. the stretched side panels are made from breathable and high tech fabric bonded with contrast honeycomb material with physical properties. The 2 side zipped pockets allow for valuables to be stored away safely.